Once well rested and after a terrific breakfast, hosts Jessy and ahLong are only too happy to hand out advise on local and regional travel. Anything you have come to see and do, your hosts can assist with, such as buying tickets/tours/bike hire/laundry and so on. Local knowledge from long time China residents fluent in English and Chinese. This Aussie couple runs by far the tidiest/cleanest hostel in China with recognition from Tripadvisor with 2 x Travelers Choice Awards 2013 & 2014 and from HostelBookers for Best Value 2013. 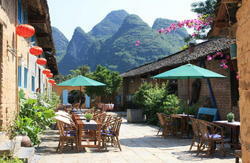 There are 9 rooms in total, so we are a small husband and wife operation who personally take care of all your needs so that your visit to Yangshuo was the highlight of your China holiday. 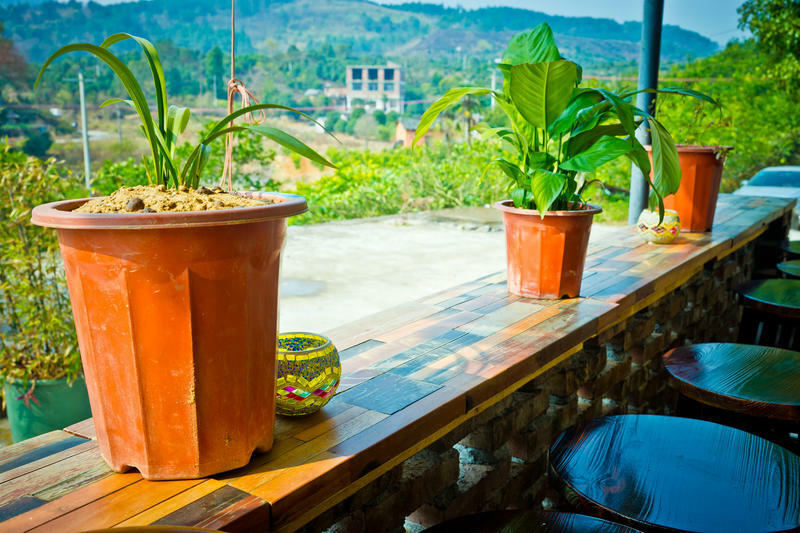 With an Eco Friendly approach to running the building we set examples in reducing our environmental footprint, we work to keep Yangshuo clean and beautiful for you to enjoy. Relax in our Deluxe or Ex. 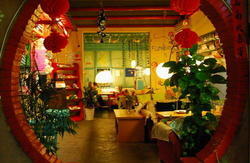 Deluxe rooms in a spotlessly clean B&B / Homestay Type guesthouse. We have closed our dorm rooms and rearranged the room layouts to offer more and better choice to you, the Special Guest. The Stone Bridge treats everyone with extra care and can arrange rooms to suit you. Rooms have rice paddy views and mountains or village and mountain range views, Ex. Deluxe rooms have an outside balcony. All rooms have reverse air conditioners and the western styled bathrooms are a pleasurable surprise. The rooms have free Wi-Fi, soft beds, rain shower with hot water, towels and shampoo/body wash is supplied. A wardrobe for your belongings and coffee free (1st night Only), a kettle is supplied to make boiling water for food/drinks and you may eat in your room. We do have a small kitchen on the ground floor serving breakfast, lunch and dinner-a mixture of Western and or Chinese food. Other food /snacks should be obtained in town before coming home as there is NO store in the village. We however are stocked with F&B and open for breakfast at 8am till 10am. Great sandwiches and snacks can be enjoyed all day and dinner is a family styled sit together where usually, a Local styled Chinese meal is served, often it’s a mix of local, Cantonese and western food.